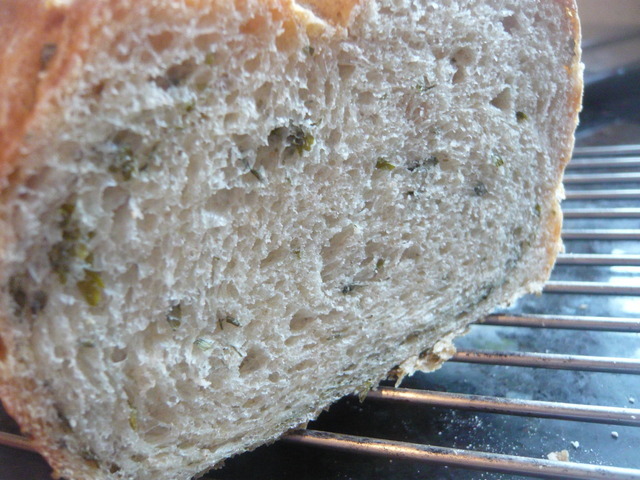 My modifications were to add some whole wheat flour, some herbs (optional) and to use a weekday procedure. Mix in bowl then turn out onto floured counter. 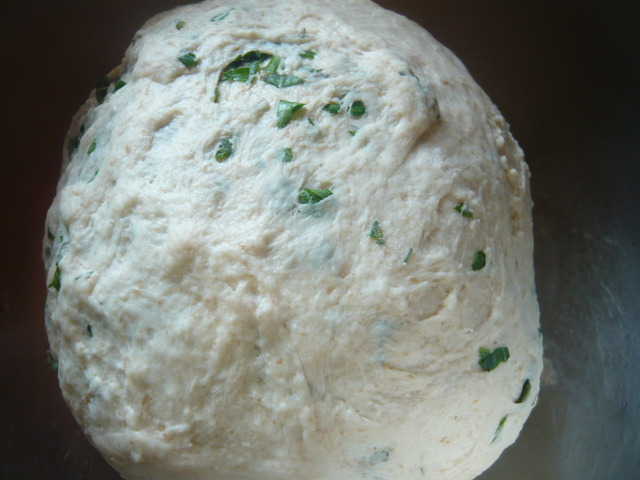 Start kneading; after a minute or so the dough will seem to become wet and sticky, add a small amount of flour if necessary. Continue kneading until the dough is smooth and slightly sticky. Put in bowl, cover and refrigerate overnight. In the morning knead the cold dough briefly on a floured counter. 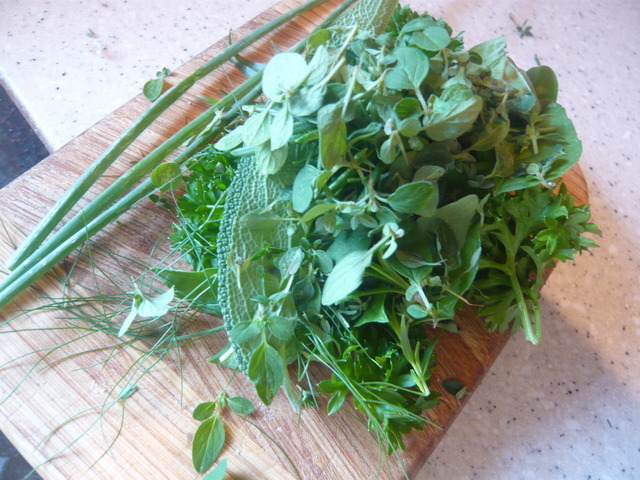 Add chopped herbs at this point if using. Return to bowl, cover and refrigerate. At 1:00 PM remove from fridge. At 6:00 PM gently flatten dough into rectangle about 5X8. 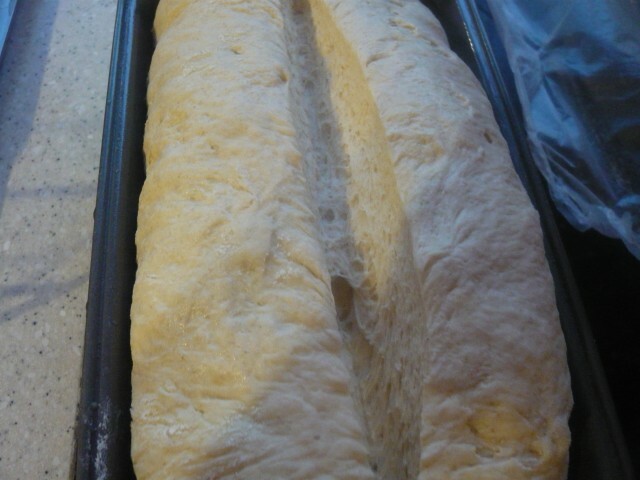 Roll up and put into buttered bread pan seam side down. Cover pan with plastic wrap and allow to rise over edge of pan, about 2 hours. 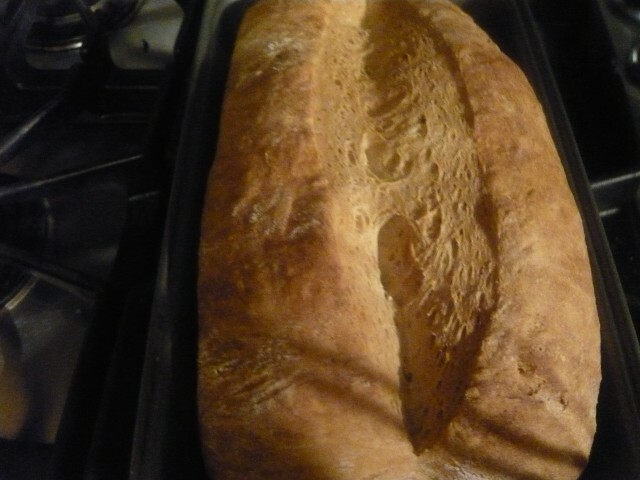 Preheat oven to 350F then bake bread for 40-45 minutes. Turn out from pan and allow to cool completely. 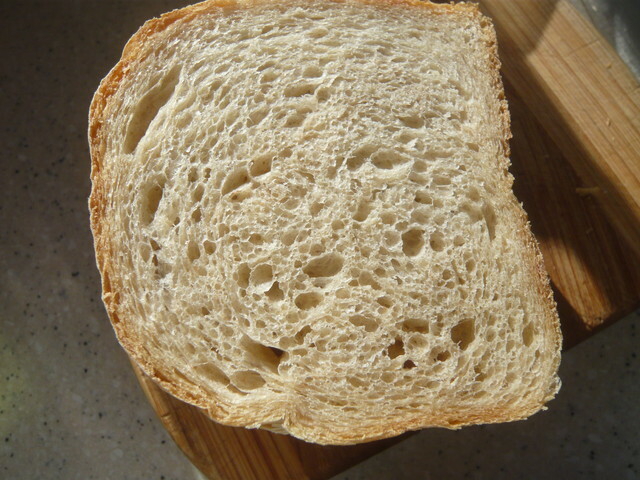 The whole wheat flour can be increased or replaced with rye. The sugar can be changed or dropped. Add onions or cheese if you like. 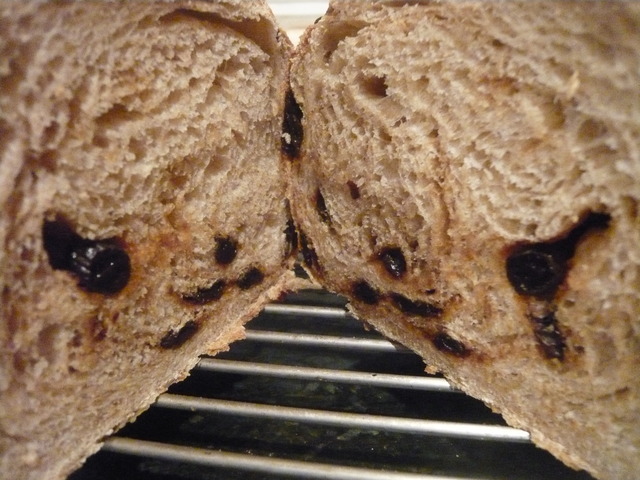 This procedure can be applied to other bread recipes as well. Working is no longer a good excuse for not making bread. Great advice on chilling the dough to meet your schedule Paul. Your bread looks fantastic! If the weather ever cools down a little I'll give it a try. That looks to have a great texture. 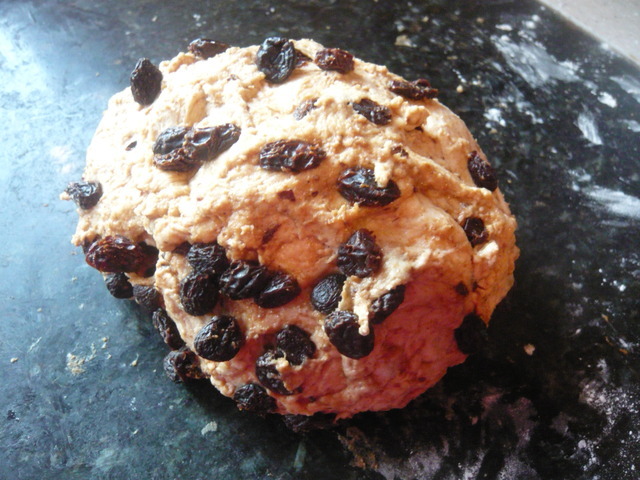 I soaked 100 g raisins in brandy overnight then kneaded them into the dough with 1 t cinnamon the next morning. Slightly. Under baked and cut while still warm. 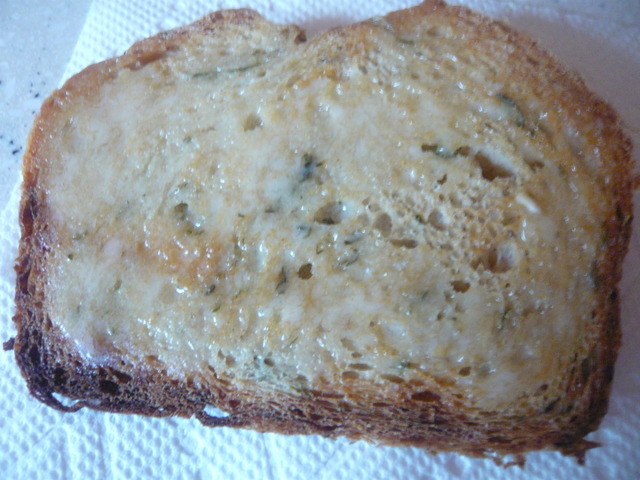 Fantastic toasted and rich without being sweet. Pull it out on Saturday make pizzas let it sit and rise for an hour. I would be very interested in your opinion of this workflow denty632 and of the bread that results. 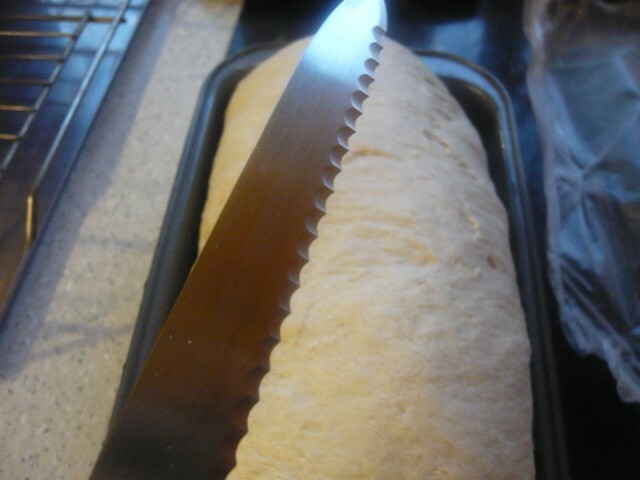 It's a constant snag in my world... Family love fresh bread, little time in my life to get it done. I find myself tied to the house while breads being made... This looks like a very good plan! I've never got the knack of a razor blade lame, I find a very sharp knife easier. However, I'm amazed when I watch videos of the pros slashing 30 or 40 loafs at a time.